This is absolutely, positively, hands down the best pasta salad I have ever had. Don't let your Memorial Day guests eat bland, mayo-laden macaroni salad! 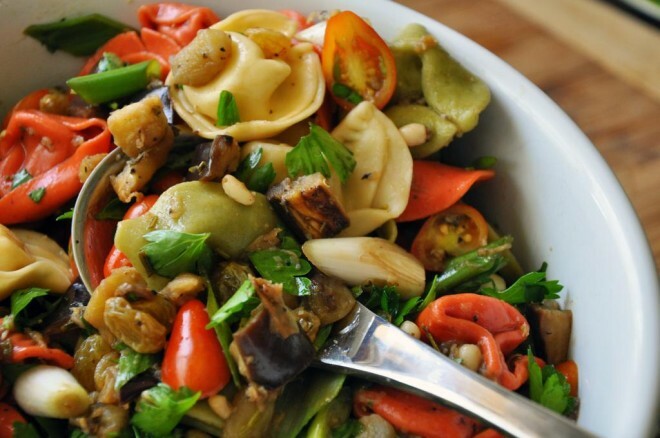 Try this incredibly fresh recipe that has all the flavors of summer, including roasted eggplant, grape tomatoes, and parsley dressed with balsamic vinegar and honey. The combination of sweet, tangy, roasted and cheesy is amazing. Preheat oven to 400 degrees and put a pot of salted water on the stove. 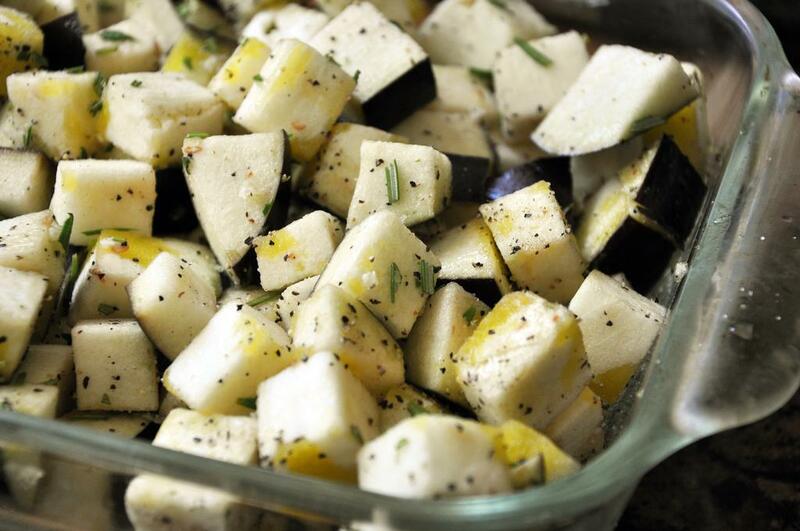 Toss eggplant, garlic, rosemary, EVOO, SnP in a casserole dish until well coated. Roast in the oven for 30 minutes stirring occasionally. Remove and let cool. Meanwhile, cook tortellini in salted water until al dente, about 4 minutes. Drain, spray with cooking spray to keep loose and refrigerate. 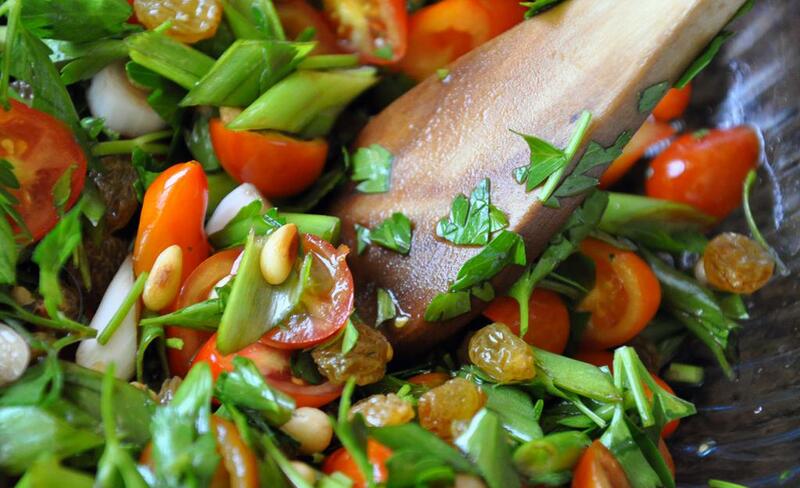 In a large bowl, toss together raisins, pine nuts, tomatoes, scallions, parsley, vinegar and honey. 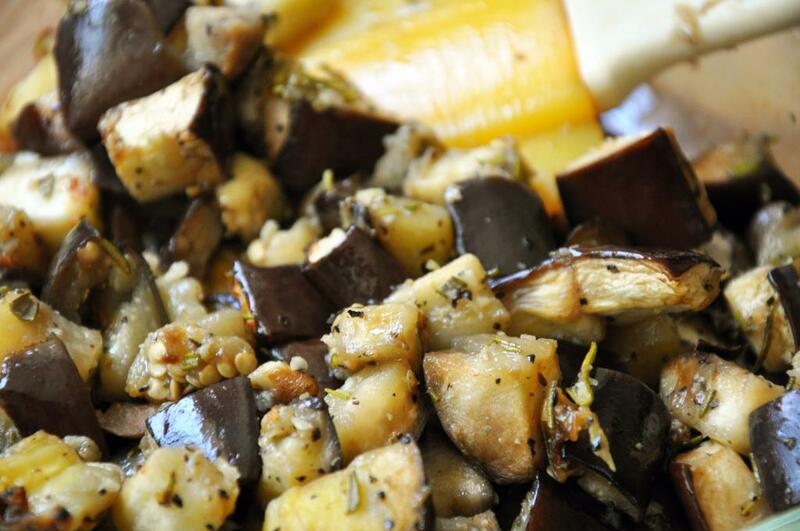 When eggplant and pasta are cooled, mix together. Best if chilled overnight to let flavors develop.